Planet Media does Sydney: Industry trends from the Online Retailer Expo. 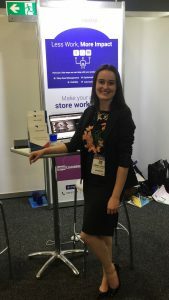 Planet Media exhibited at the Online Retailer Expo in Sydney last month. Content Manager Emma reports back on the latest trends. Australian retailers are taking e-commerce very seriously, and when you look at local consumer behaviour, it’s not hard to see why. The Australian Post estimates one of every ten purchases will be made online over the next two years, and we met many businesses expanding their online retail strategies as a result. There’s an increasing emphasis on selling outside of Australia, with markets like China placing high value on the quality and production of Australian goods. Breaking into the Chinese market takes a lot of time and effort though, especially with the complex regulations and customs across China’s 31 provinces. We’re now seeing the emergence of culture-specific marketing advisors, and expect this trend to continue. Multi-channel sales strategies are vital. Marketplaces (websites that display products from multiple vendors like ebay & Amazon) play a growing role in e-commerce success. We’ve seen a 50% increase in the number of Australians using marketplaces to shop during 2017 alone. Other platforms are also expanding their services, with Instagram launching a “shop your feed” function here in March. It’s vital to go where your customers are & make sure you manage your inventory across channels. With a sea of choices facing customers, you need to make sure your products stand out. Research shows approximately 2% of customers buy on first seeing a product, with the remainder of sales coming from retargeting strategies. Whether that looks like follow-up ads, enriched mobile messaging or highly personalised email campaigns, there are more opportunities for retailers than ever before. We had a great time meeting everyone — special thanks to our clients that travelled to Sydney to see us! If you’re thinking of expanding into the world of ecommerce (or want better results from your current strategy), feel free to get in touch. Our expert team are always happy to help. Next Post : How is it ‘bad SEO’ to link every page to a site’s homepage?